Great Expectations - About Healthy Weight Loss! Our program helps patients achieve healthy weight - not with a magic pill or fad diet, but with a comprehensive lifestyle approach, with individualized nutrition, activity, behavioral, and medical strategies to fit each person's unique needs. Long term success does not come from a quick fix or extreme approach - we can't beat up our bodies or bash them into good health! We need a healthy approach - and we need realistic expectations. In order to get our bodies healthy, we first need to get our "head in the game". Many of us have mental blocks that lead us to failure. To succeed, we need to become aware of these self-sabotaging thoughts and behavior patterns, and then take concrete steps to change them. This is tough to do all by yourself - but you don’t have to! We’re here to help identify the negative thoughts and unhealthy patterns, and help devise concrete plans to overcome them. We’ll be here when you slip off your plan, and help you get right back on track. Over time the new habits become more solid, and easier to maintain. Studies show that people who have this kind of support are much more successful at long term weight loss. We’re here to help you become empowered, and get control back in your life. Of course you do! Our society expects instant results, and we see advertisements all over the internet which make these promises. Some of these ads have the nerve to claim that this massive weight loss comes without any change in diet, exercise, or lifestyle. Hmmm...wouldn’t that be nice? Too bad it’s not reality. Many of the companies which have made such outrageous claims are being investigated by the FTC, and some have already been heavily fined for fraud. The scams have become so widespread that the FTC can hardly keep up. We ask our patients to look down the road just a bit. Where do you want to be next year? If you want to feel healthy, strong, sleek, have less body fat and more fit, lean muscle, you have to do it the right way - by developing a new healthy life pattern. Proper nutrition, proper exercise, rest, sleep, stress management, and more, are key to becoming - and staying - healthy in our "obesogenic" world. Does this sound boring, and like hard work? Well, there is work involved. Our job is to make the process as easy and effective as possible, and help you be as successful as possible. We’ll teach you the techniques that have been shown to give results, and provide you the support and ongoing accountability so a healthier you will become a reality. You can’t expect a change without making a change. But we’ll show you which changes to focus on to obtain the best long term results. Over the next few months, a realistic goal is to work for a maximum rate of weight loss that is between 1 and 3 pounds per week on average, depending on your current weight and medical conditions. Some weeks will be faster and slower than others - this is normal. You can find many different charts, graphs, and recommended “ideal weight” goals when you look around. No chart is a hard and fast rule for you as an individual. Your personal "best" weight depends on MANY different factors. Your weight is affected by your bone structure (take a look at your wrist), your body muscle, fluid conditions (these may shift dramatically), your gender, age, hormonal issues, genetics, lifestyle factors, even personal preferences. Well, the answer is…yes and no. Be realistic - if you were able to eat in moderation, you probably wouldn’t be struggling with your weight, would you? The reality is that some types of food keep you full and satisfied, so it is easy to eat fewer calories, while other foods leave you hungry, and some seem to make you hungrier. Research has also shown that some people are more neurologically "wired" to be sensitive to "addictive" foods, and are therefore at high risk of weight gain in our "obesogenic" (weight-gain-promoting) society. If you notice that certain foods always trigger you to overeat, and lead to feeling out of control, then you may have to "remove and replace" those triggers. When you set up your food environment in a way that helps you make good choices more often, you are more likely to succeed. We help people do this every day. We want to "make the EASY choice the HEALTHY choice", since it is human nature for us go to the easy choice when we are busy, stressed, tired. If we set up our lives so that the easy choice, the "default" mode is also a healthy (and tasty) one, we are far more likely to sustain healthy lifestyle. In order for you to succeed with long term weight management, you need to become an "expert on yourself", know your tendencies, and then establish a core pattern of healthy eating, eating healthy foods that are filling and satisfying, in proper calorie amounts. Once that core is established, healthy eating becomes "second nature", and easier to maintain over time. Research has now shown that you can "rewire" your food preferences, so that addictive foods may not have the same power over your. As you feel more in control of your eating, you may begin to carefully add back small controlled amounts of “problem foods” - if done properly. We’ll help you do this without going completely off track. Okay, many of you have already proved to yourself that this method doesn‘t work for long term success - yet it is so tempting to believe this myth that you try again and again. Stop the insanity! Extreme fad diets and excessively rapid weight loss itself can carry risk, and are not the way to achieve lasting results and optimal health. If we starve ourselves, or go to other unhealthy extremes, we not only risk our health, but we are also setting ourselves up for failure. Do it right, right from the start - stop playing games! Believe me, if you eat properly during the weight loss process, it makes maintenance SO MUCH easier. You‘ll actually be able to re-set your “set-point“ weight lower - so you will cruise into maintenance weight, and then have to INCREASE your calorie intake. Honestly. You already intuitively know this is true. Strictly speaking, no, if you cut calories below your daily requirement, you’ll lose weight, whether you exercise or not. But you will lose excess MUSCLE, along with fat, and slow down your metabolism. Then your weight loss will plateau, and you will become "flabby", with loose skin, unsupported without healthy muscle. You’ll also be far more likely to regain all the weight you lost, and add some more. Research by the National Weight Control Registry reveals that almost all long-term successful weight losers/maintainers do some exercise every day, to keep weight under control (a whopping 94% exercise daily at maintenance!) So no, you don’t NEED to exercise. But if you want to lose weight and keep it off, keep your metabolism strong, and not be flabby, then yes, you DO need to exercise. Um, not exactly. Anyone can lose a little weight, but very few can actually succeed in losing a substantial amount of weight. And sure, if you’ve starved yourself to lose a lot of weight, and ruined your metabolism in the process, losing healthy muscle and putting your body into “starvation mode”, the weight will come flying back on when you add a few extra calories. BUT…the story is very different if you lose weight properly in the first place - with a healthy diet and exercise. Research (such as studies like the National Weight Control Registry), show that people who have lost weight with long term lifestyle changes actually find it EASIER to maintain over time. The longer they maintain, the easier it becomes. Sure, people who maintain always have to stay aware of their nutrition, exercise, and weight, and maintain their new habits. And there will be some times that are more challenging than others. But that’s life, right? When the going gets tough, call for help! We will help you with the maintenance process. 6. "I heard there is a "magic pill" on the internet, and it is safe and natural too!" Ever heard of P.T. Barnum? To paraphrase, he said a sucker is born every minute. I prefer to say that there are many people who feel desperate to lose weight (any of us can feel this way at times), and unfortunately there are also unscrupulous criminals who are willing to take advantage of innocent people who need help, and steal, harm, and even kill them for a buck. Weight loss supplements will never, ever, be a substitute for a comprehensive healthy lifestyle plan, which includes healthy diet, exercise, and behavioral strategies. Period. While some vitamins and supplements may be safe, never, ever take a supplement without doing thorough research on all of it's ingredients, the manufacturer, knowing all of it's potential side effects interactions with other supplements, medications, etc...and discuss it with your medical provider, as well! 7. "If I take a prescription weight loss pill, then I can eat whatever I want, and I'll lose weight, right?" Wrong. Of course. The role of appetite controlling medication/"weight loss drugs" is NOT to REPLACE healthy lifestyle, but to help in the creation of healthy lifestyle, while adopting and practicing new habits - by controlling excess appetite and cravings during the process. Some people have genetically high levels of "hedonic hunger", and the current typical American diet, which is chock full of "addictive food", can set off metabolic and neurological food cravings which are out of control, and abnormal. Appetite-controlling medications can bring the excess "food drive" back down to a managable level, while patients build a new healthy diet, and lifestyle pattern. Research - and our clinical experience - shows that many people find their excess appetites calm down, back to normal over time, and they no longer need medication to control their excess cravings, as long as they are able to keep up with their healthy patterns. Brain studies (something called "functional MRI" tests) actually have demonstrated that people have "retrained their brains" so they no longer feel excess, abnormal cravings. So again, medication, if needed, does not replace, but rather, should enhance healthy lifestyle changes. Patients should always fully discuss risks, benefits, and possible side effects and interactions with their medical providers, before initiating any medication. The reality is that MOST people who lose weight and keep it off long term have some kind of ongoing support. Period. Don’t feel that you are a failure because you need help to focus and stay on track. The way our society is set up right now, you have everything working AGAINST you. Most people are stressed, overworked, without exercise built into their daily lives, surrounded by tempting unhealthy food and treats everywhere we look, bombarded by junk food ads, and “food pushers”. Its not easy to do the right thing! With all that working against you, is it any surprise that you need someone on your side, to help you fight back? That’s why we’re here. “Can A High Fat Diet Make Me Gain Fat?” New Research Shows the Answer May Lie in Your Genes. The researchers studied mice who had the variant gene and those who did not, and put them both on a high fat diet. Those who did not have the gene gained a little extra weight on the high fat diet, but those who had the gene gained significantly more: “at least 20 percent greater body fat content.” That is a lot! Even worse, the mice with the fat-gene also “developed pre-diabetic symptoms and insulin resistance.” In other words, this gene variation not only made those mice “fatter” when they ate high fat diets, but the gene also put them at risk for Type 2 diabetes. In other words, people (and I suppose mice) who live in cold climates might have benefited from gaining fat more easily...to stay warm, and to carry an extra supply of energy to get them through the cold months! Unfortunately, this genetic tendency does us no favors in the modern world. The researchers had medication which could inhibit the gene, and they tested them on the mice: “Using both inhibitors led to significant decreases in weight gain and fat accumulation in R72 mice.” We’ll have to watch for more on this! “Mindfulness No Aid to Weight Loss in Trial” the headline in Medscape announces. You might wonder what mindfulness means...then you might wonder what the research actually showed. Great questions! Adding mindfulness-based eating and stress management techniques to a diet and exercise program was no more useful than diet and exercise alone in getting patients to lose weight. Daubner described mindfulness to Medscape : “mindfulness...involves a daily practice of focused attention to one’s experiences.” Both groups received extensive education on healthy diet and exercise, and according to Medscape: “there were 16 sessions that lasted 2 or more hours over the study, and diet and exercise guidelines were presented for about 45 minutes each session.” Both groups received food recommendations: decrease calories by 500 per day below baseline, decrease simple carbohydrates and empty calories (“nutrient-poor foods)”, decrease foods which have high calories-per-bite (“calorie-dense” foods), increase protein, fresh vegetables and fruit, whole grains, and healthy fats. The mindfulness group received additional instructions, according to Medscape: “The mindfulness intervention included meditation practices to deal with stress, eating, and exercise..designed to increase awareness and self-regulation of hunger, fullness, satisfaction of taste, cravings, and other emotions.” The mindfulness group also received instruction to walk for exercise, while being aware of, and noting the surroundings (this has been called “Forest Bathing’, or Shin Rin Yoku in Japan.) Recommendations to meditate were also made. Mindfulness is a complicated topic, and when it comes to appetite control and weight control, mindfulness alone is not enough, but can be a helpful addition to a program. When people are overweight and have metabolic syndrome and inflammation, their brain chemical response is often abnormal and they do not get proper "fullness signals" registering in their brain, which makes mindfulness more difficult. Healthy diet, exercise, and weight loss , can actually restore normal function of these chemicals and make mindfulness easier, ironically! So what is mindfulness, anyway? Every once in a while a word comes into use in the popular lexicon, works its way into public consciousness, and becomes not only a catchphrase, but also a widely accepted, even unquestioned idea. People may begin to endow the concept with additional power and then layer assumptions on top of it. I think mindfulness as a word and concept is entering that realm. I was first introduced to the concept during medical school at Tufts in the late 1980’s, when some of my fellow students were reading about meditation and health in a book called “The Relaxation Response” . Later in the early 1990’s I came across the concept again during my Family Medicine residency in Bangor, Maine. My residency was unique in that we had a full-time psychologist as a member of the teaching staff, to teach us about the bio-psycho-social model. We also each rotated through an unusual primary care office, and spent extended time training with a physician named Dr. Toby Atkins. His focus was patient-centered medicine, and he taught each resident one-to-one about mindfulness, and how to create a partnership with patients. It was a very different model than most physician offices; even if the doctor had an agenda, the patient's needs and wishes always came first. Since I had majored in Philosophy as an undergraduate, and my honors thesis addressed paternalism in medicine, and empowerment of patients, I was very impressed with his approach. Interestingly, he had an extremely busy practice, in his office, in the hospital, as medical director for numerous nursing homes. When he oversaw meetings with the staff, he empowered each individual at the table, and fostered a team approach that led to outstanding patient care. It was not only a fascinating and patient centered model, it was a very economically viable model, contrary to what some harsh authoritarians would expect. I remember my first morning with Dr. Toby, and his first question to me was, "What was the air like in your room when you first woke up this morning? Was it dry, humid, cool, hot? How about when you went outside to your car? What did it feel like?" It was his first lesson in “mindfulness”, being aware of our immediate surroundings, our senses, paying attention to those, and how we were affected. His teaching, including mindfulness, respect, and patient-empowerment, has had a profound positive effect on graduates of the program and their patients. I came across the concept of mindfulness again during an obesity medicine teaching conference around 2003. Each of the 500 or so physicians found ourselves sitting in front of a raisin on the table. We were instructed to look at the raisin, pick it up, smell it, think about it, put it in our mouth but not bite it, taste it, and then slowly chew it and note the texture and various sensations. It was a lesson in mindfulness, living in the moment and becoming aware of all aspects of the eating experience. We were told that a lack of mindfulness was endemic in eating in the Western world, and that this is connected to the tendency to overeat. We are too rushed, stressed, and eat too quickly to even notice what we are eating. It takes an average person 20 minutes to feel the “full signal” in the brain after eating, and those with obesity may take 45 minutes before their brain registers “fullness” or satiety. But fullness is not the only thing lacking in our eating patterns in the west; we also tend to miss out on the experienc of savoiring, really enjoying food. This lack of enjoyment, unconsciousness eating, lack of mindfulness, goes beyond food, but also extends to other experiences in our society now. We are missing out on connections with nature, with each other, with a greater purpose/working for greater good, as well missing out on the experiences with delicious food. As a society we don't take vacations as often as other developed countries, we don't "slow down and smell the roses". This rushed, stressed, lack of mindfulness is leading to individual health problems and a sick society in general. Patients who have traveled to other countries note lovely traditions, such as the passagiata in Italy, which is essentially a community stroll in which everyone participates. In the late afternoon/early evening after work, everyone relaxes, changes their clothing, and strolls around the village for several hours talking to everyone and catching up with their neighbors. It is not just the healthy diet which makes Mediterranean countries healthier, it is this lifestyle of slowing down and enjoying life! While we may not be able to instantly introduce the passagiata to the United States, we certainly may try to add healthy mindfulness to our lives. There is extensive research into healthy living patterns around the world, including “The Blue Zones”, which may give us some ideas. Mindfulness is certainly something we should think about, and attempt to add to our lives. While mindfulness alone may not yield weight loss, it may certainly contribute to our health, and is a great addition to healthy diet and exercise. Most of us are familiar with that cranky, foggy feeling which happens when we lose a night of sleep, and most have heard that sleep deprivation can suppress our immune system, and make us more susceptible to infection and illness. But many do not realize that good quality sleep is not only important for mood and immune system health, but is also incredibly important in our quest for a healthy weight. Insomnia and sleep deprivation can set off a cascade of hormonal and chemical events in our bodies which end up slowing down our metabolism, increasing our cravings for unhealthy food, increasing inflammation and blood sugar problems. Lack of sleep impairs the function of our appetite hormones leptin and ghrelin, worsens insulin resistance, and increases inflammatory blood markers. Out of desperation, many turn to medications - both over-the-counter and prescription - and sadly these can have a variety of side effects, and ironically can actually cause weight gain, adding fuel to the fire. Besides weight gain, side effects of these medications may also include next-day “hangover” effects such as foggy thinking and impaired motor control (“Benadryl” or diphenhydramine, the active ingredient in many over-the-counter sleeping pills, is notorious for causing weight gain and “hangover” effects.). Some prescription medications disrupt our REM sleep (dream sleep) quality, and REM sleep is important for healthy brain function and memory. Some of these medications are actually associated with dementia with long term use! Some people turn to alcohol in the hope it will relax them and help with sleep, but alcohol also disrupts REM sleep - so people think they are sleeping, but they are getting poor quality, non-restorative sleep (alcohol also leads to acid reflux, which itself can disrupt sleep.). If this all sounds hopeless, don’t despair. Let’s look at some common causes of sleep disruption, how lack of sleep can damage our health and cause weight gain, and then discuss some natural strategies to improve sleep quality. Research by the Endocrine Society shows that “Losing as little as 30 minutes of sleep per day on weekdays can have long-term consequences for body weight and metabolism...compared with participants who had no weekday sleep debt, those who had weekday sleep debt were 72% more likely to be obese, and by the 6-month mark, weekday sleep debt was significantly associated with obesity and insulin resistance.” Research published in the American Journal of Clinical Nutrition shows that after only five days of shorter sleep, people consumed about 300 extra calories per day, and this “was mostly due to an increased consumption of fat, notably saturated fat.” Ironically, excess saturated fat not only contributes to inflammation and insulin resistance, it may actually worsen sleep itself, since fat consumption can lead to acid reflux (because fat relaxes the “valve” at the top of the stomach, allowing acid to flow upward into the esophagus.). Lack of sleep can be caused by sleep apnea, sleep disorders of other types, restless leg syndrome, anxiety, depression, work schedules, hobbies or television that that extend too late into the night, difficulty falling asleep (“sleep-onset” insomnia), or waking in the middle of the night and being unable to get back to sleep (“early morning waking”). It is important to speak with a medical provider to determine the most likely cause of your sleep deprivation. Sleep apnea can have serious health consequences and should not be ignored. Depression can lead to waking up several hours after falling asleep and causing inability to get back to sleep; this may be due to a serotonin issue, and also should be discussed with your medical provider. However, it can be normal for some people to wake in the middle of the night, then go back to sleep, and they may have no ill effects if their overall quantity and quality of sleep are adequate. There is an interesting article on this in the New York Times that discusses this "first sleep, second sleep phenomenon”, which may be a normal variant for human sleep. If you feel rested and alert in the morning, there is likely no reason for concern. On the other hand, if you wake feeling drowsy, unrefreshed, with a headache or other symptoms (or your partner reports loud snoring or other symptoms of sleep apnea), it is a good idea to check with your medical provider. An extremely common form of insomnia is difficulty falling asleep. Patients often turn to over-the-counter treatments or to their medical providers to request a prescription medication. While these may be useful in the short-term, they can have significant side effects. Over-the-counter medications such as Benadryl ( otherwise known as diphenhydramine) can have multiple side effects such as weight gain, next-day sedation known as a "hangover", motor coordination problems, and can have interactions with other medications. This is the most common ingredient in typical over-the-counter sleeping pills such as Unisom, Tylenol PM, etc. those medications may sound unique but in reality they are just Benadryl or Benadryl mixed with Tylenol or ibuprofen. Benadryl/diphenhydramine is a common and unrecognized cause of weight gain. Prescription medications for sleep are commonly in the benzodiazepine class, and these may have multiple side effects including blocking important REM sleep, causing sleep eating (a phenomenon in which people eat bizarre, often high calorie foods in a sort of stupor similar to sleep walking while they are asleep), and long-term use of benzodiazepine sleep medications is associated with dementia. In light of all of these problems it is important to know that there are non-medical ways to enhance sleep and improve symptoms of insomnia. These include methods known as "sleep hygiene". This has nothing to do with cleanliness but rather creating an environment that is conducive to sleep. The bedroom should be kept cool, very dark with no lights particularly no blue light, and quiet or with a "white noise". White noise can be provided by a fan, gentle music, or a device designed for the purpose which might sound like rain or waves. It is important that the room be kept free of distractions such as animals jumping on the bed or scratching at the door. It is also important to avoid stressful situations, tension, or problem-solving, for several hours prior to bed. Mediation, or progressive muscle relaxation, other the other hand, may be helpful. Some people find a warm bath or shower before bed maybe soothing and relaxing and help sleep. It is important to avoid electronic devices such as televisions and smart phones, particularly those which emit blue light, as these may trick your brain into thinking it is daytime, and stimulate an area in the brain called the RAS which can keep you awake.. Some people find it relaxing to read a calming book with a warm, soft light before bed. Be sure to avoid exciting stories, such as mysteries with cliffhangers. If you read, consider a tactic some of my patients use: choose books about favorite hobbies such as music, history, quilting, photography, etc. Some have even browsed healthy cookbooks to help them fall asleep. Thirty minutes per day of cardiovascular exercise may enhance sleep - but it may be best to do earlier in the day. Some people can hit the gym at night and still sleep well, but others find that evening exercise makes it difficult to fall asleep. On the other hand, gentle stretching exercises may help you relax and fall asleep more easily. Stimulants such as caffeine or theobromine or theophylline (which are present in coffee and tea) should be avoided after noon. Be sure to watch out for hidden caffeine sources such as certain orange soda drinks, cappuccino flavored or coffee flavored items, etc. Even green, white, and oolong tea have caffeine, unless they specifically say they are decaffeinated. Avoid any herbal tea which is touts itself as “energizing”; opt for camomile, red rooibus, or other stimulant-free teas. A small snack before bed which contains carbohydrate and a small amount of protein may help some people become sleepy by increasing tryptophan and serotonin levels which may be calming. Again it is important to avoid high fat foods particularly those high in saturated fat before bed. Herbal supplements such as melatonin and valerian may be helpful. It is important to check with your medical provider to make sure there are no medication interactions or medical problems which would make these dangerous to use. WebMD and the University of Maryland websites are excellent sources to read about herbal supplements, their possible benefits, side effects, and interactions. Sleep is incredibly important for our physical and mental health, as well as weight management. The best approach to getting quality sleep is not to try to find a “single magic pill”, but instead employ a “holistic” strategy, creating an optimal environment for our best sleep. Sweet dreams! Call any time: (603) 379-6500. Protein and Weight Loss: What does the Research Say? Can protein really help us achieve healthy weight loss - and weight maintenance? This is an important question researchers have been studying for years. Evidence is accumulating that the right amount of protein, at the right time, as part of a balanced overall approach, can indeed help us in our quest for healthy weight control. Raises Basal Metabolic Rate (BMR, also called REE/Resting Energy Expenditure - your “calorie cost of living”.) You can “burn” more calories even when you’re not exercising, simply by increasing the ratio of protein to carbohydrate in your diet. Research has shown that higher protein diets can help “burn off” 350 extra calories per day. That is almost like adding a 4 or 5 mile walk in terms of calorie burning! Improves Satiety/Fullness/Satisfaction. Protein helps you feel more full on fewer calories, so it’s easier to stay on a lower calorie diet. Protein can prevent the fatigue, and ‘hypoglycemia’ that people can feel on higher glycemic diets. The Standard American Diet (sometimes called the SAD diet!) is only about 12 % protein on average. Try raising your protein percentage to 20-35% and you’ll have improved fullness hormone levels, and feel more satisfied. Improves Blood Glucose (“blood sugar”) after meals. A blood sugar “spike” after a meal often lead to a “crash” later - and that not only feels awful, it can create serious health problems. New research shows that starting a meal with protein - and balancing your carbohydrates with protein - can improve your blood sugar “swings”, help your glucose be more stable, and can improve your insulin response as well! The effect is strongest when you START A MEAL WITH PROTEIN. Protein has the functional effect of lowering the glycemic index. The A.U.C. (Area Under the Curve) of the post-prandial (after meal) blood sugar stays ‘low and smooth’ if you start a meal with protein. Improves mental alertness and sustained cognitive performance. Many of us think that a sugary treat will help us wake up in the afternoon, but new research shows the opposite is true. Carb-heavy snacks can leave us feeling drowsy and sluggish, while protein-filled snacks give us a mental energy boost with staying power. Wake up in the afternoon with a PROTEIN snack. Facilitates healing after surgical procedures - After surgery, our protein needs increase, often by 20 %, and we will heal more quickly if we make sure our protein intake is adequate. with better success rates in research studies in helping keep the weight off! If you are wondering how to make sure you have the right amount of protein in your diet, balanced with other healthy nutritional components, we can help! We offer 1:1 individual diet and lifestyle analysis and counseling, and can address a variety of medical and nutritional needs. Our team includes our medical weight loss specialists, and nutritionists who have years of experience helping people acheive a healthy weight, through a supportive and comprehenisve approach. We help people at all stages of life, to preserve and restore health, including those who are currently healthy, and those with complex needs. 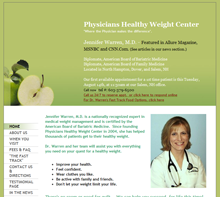 Read more about our program here: healthyweightcenter.com Call any time for more information, or personal assistance: (603) 379-6500. Ghrelin and glucagon-like peptide 1 concentrations, 24-h satiety, and energy and substrate metabolism during a high-protein diet and measured in a respiration chamber. Am J Clin Nutr. 2006;83:89–94. [PubMed] http://www.ncbi.nlm.nih.gov/pubmed/16400055 Am J Clin Nutr. 2006 Jan;83(1):89-94.